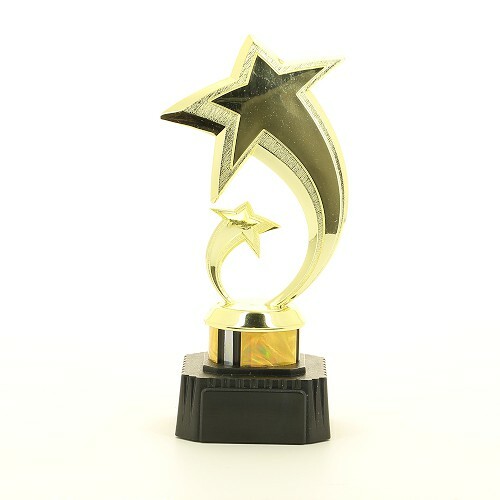 8.25 inch high jubilation star award engraved plate attached and included in the price. Heavy black base. Any event or sports trophy available in gold.